When I was married last year, I thought it would be nice to try and dry my bridal bouquet as a keepsake. Unfortunately, the bouquet turned brown and I had to toss it. Have any of you had this same experience? With this in mind, I was so excited when Jamie (one of FineStationery.com's amazing Pre-Press Designers) pointed these clay bridal bouquets out to me. If your wedding is on the horizon, and you know that you'd like to keep your bouquet, you are in luck! These custom bridal bouquets by DK Designs on Etsy are made from soft clay, molded to look exactly like a real flower. When I first saw these bouquets, I thought they were real -- the detail in the work is so beautiful. These bouquets have been featured on the Martha Stewart Show. 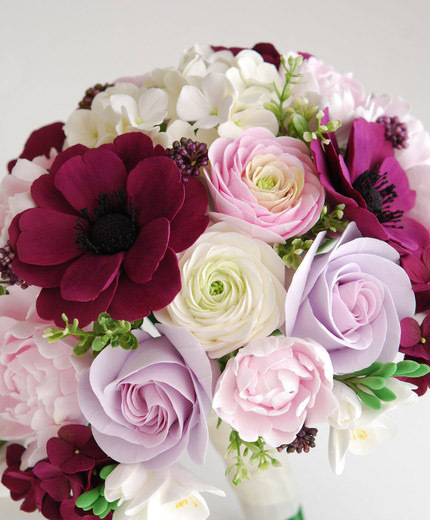 Now, a bride can always keep her bouquet looking fresh and bright. Just don't use it to toss! As a hint to any husbands reading, these bouquets would make a wonderful anniversary present, as I am sure a bouquet could be re-created from a photo of an original real bouquet. What do you think? 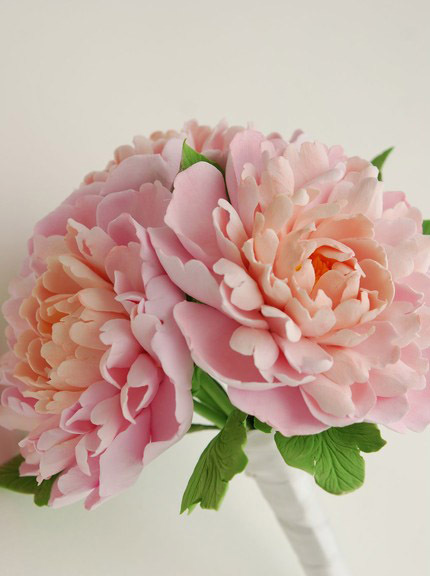 Would you opt for a clay bridal bouquet in place of a real bouquet?